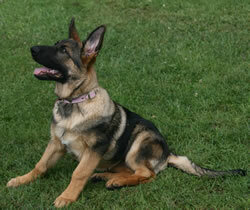 There’s now two easy ways for you to help raise funds for Wythall GSD Club. Shop On-line and Raise Funds. easyfundraising is a shopping directory listing some of your favourite on-line stores including Marks and Spencer, Argos, Next, Debenhams, John Lewis, Toys R Us, HMV and over 2000 others. Just use the links on the easyfundraising site whenever you shop on-line and, at no extra cost to you, we'll receive a free donation of up to 15% from every purchase you make. It really is that simple! If you shop on-line anyway then why not raise valuable extra funds for us by using this fantastic scheme. All you need to do is visit http://www.easyfundraising.org.uk/causes/wythallgsd and when you register, select Wythall GSD Club as the organisation you wish to support. Search the Web and Raise Funds. Check out our unique easysearch page at http://wythallgsd.easysearch.org.uk and use it every time you search the Web.